I am huge, punchy and deep. I am the steady groove in your head. The Fullerton Bass is a big body, semi-hollow, dual pickup, 22 frets, electric bass, featuring arched top and back, bent sides a double cutaway design and a 770mm medium scale. 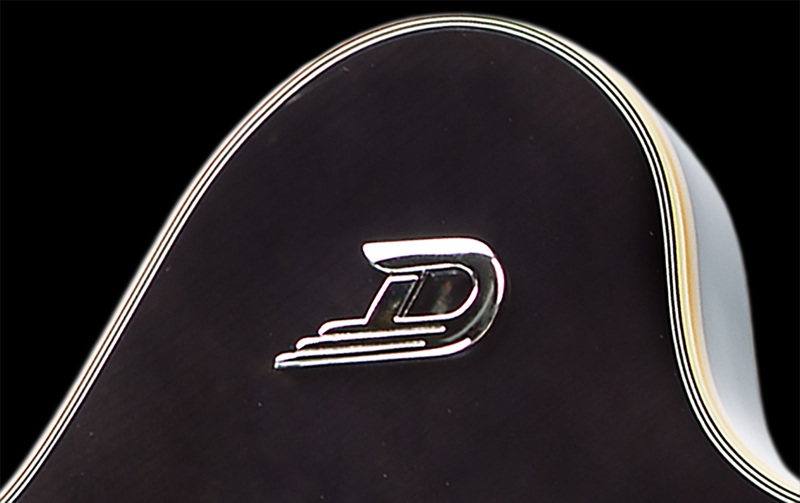 The Fullerton Bass is based on our popular C.C. Fullerton design. That is why the Fullerton Bass features the same, fine selection of woods. Spruce is our choice wood for the arched top, while the arched back and bent sides are made from flamed maple. 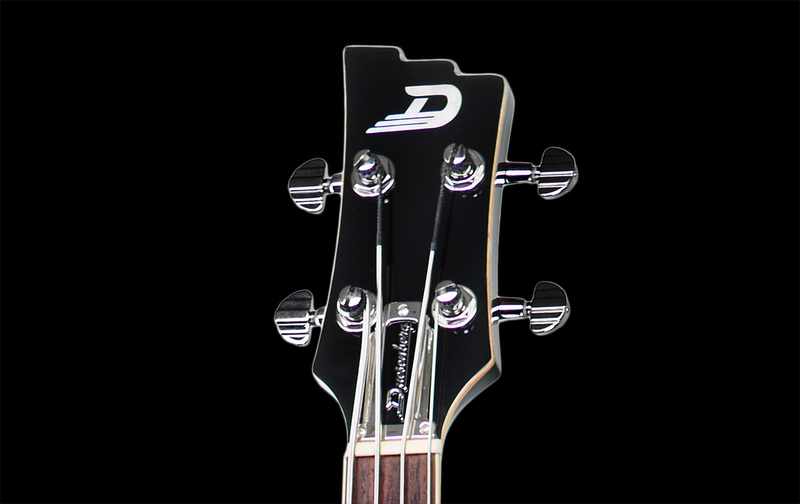 Due to the classy Transparent Black finish on the body of the bass, the wood's distinct grain slightly shimmers through. 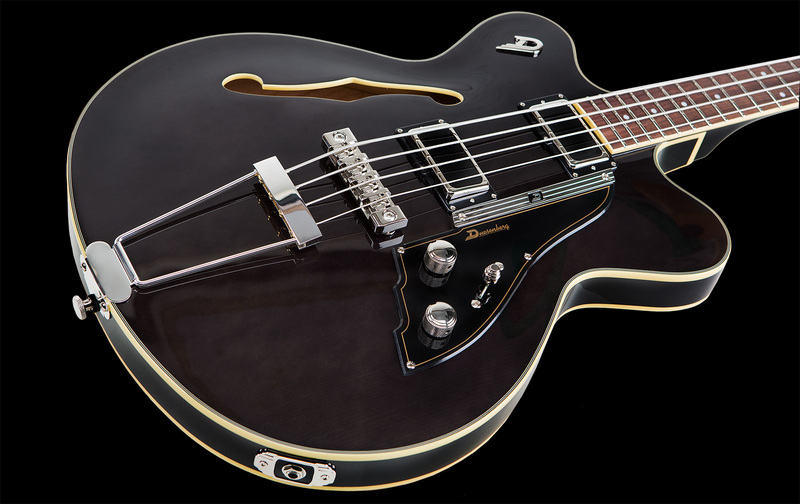 The Fullerton Bass is fitted with two of our Duesenberg BassBuckers which will give you clear and rich overtones and crisp response in any situation. 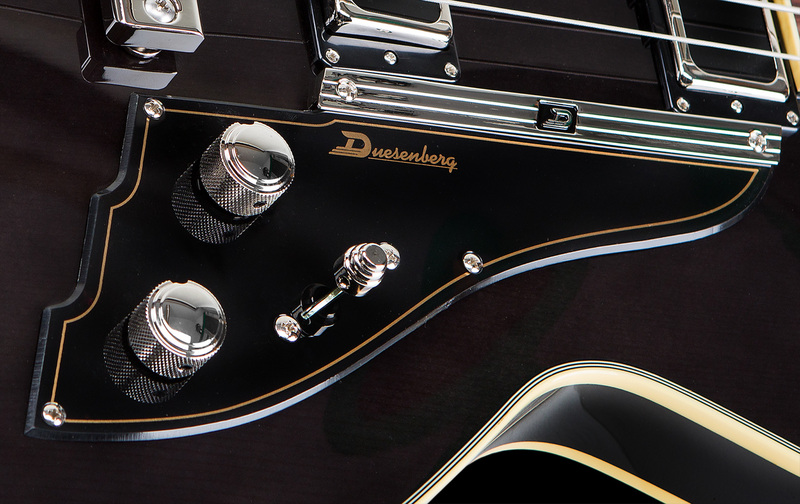 With the Fullerton Bass, the strings are anchored to a nickel-plated, solid and completely adjustable brass bridge, while, at the other end of the instrument, Duesenberg Z-tuners allow for quick string replacement and optimal tuning stability. Size: 51,5 x 41 x 5,8 cm / 20.27" x 16" x 2.3"